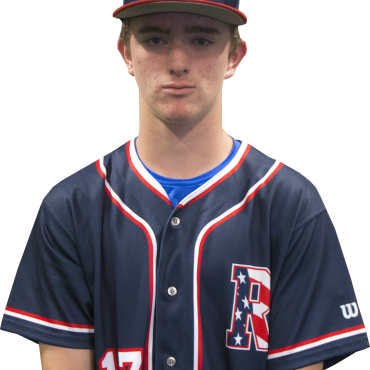 PITCHING: Nick is a tall and long RHP and has a quick loose arm to go with his frame. Nick has a good fastball with downhill plane and late movement. He has a changeup and a curveball that work well down in the zone. Nick has worked hard and can throw all 3 pitches for strikes. DEFENSE: Nick is a very good defensive OF, he uses his speed as well as getting great jumps off the bat. Nick also has a plus arm from the OF. OFFENSE: Nick has a very good compact swing and hits the ball to all fields. Nick shows that he has power potential.